John Emms (1843-1912), "The Red Squirrel". Oil on canvas, size 12" x 10". Price - £3,500. Having lived and worked in London for over 30 years, we are now based in Dorset. 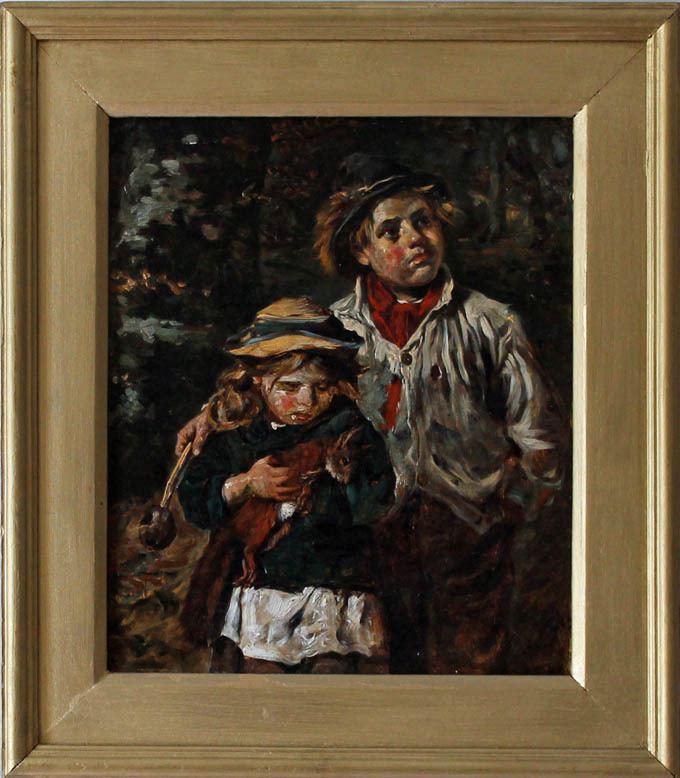 We buy and sell Impressionist, Post-Impressionist, Modern British and 19th Century paintings. We do not have a gallery in Dorset but we exhibit and sell at major art fairs in London. See our Exhibitions page for details of forthcoming events. Outside these dates, paintings can be viewed by appointment. We are members of LAPADA, the largest association of professional art and antique dealers in the UK. Our next fair is The Art and Antiques Fair, Olympia, London W14 8UX between 19 - 28 June 2019. If you would like further information or complimentary tickets, please email us at paul@paulmayhew.co.uk.